Where your safety is our #1 priority! 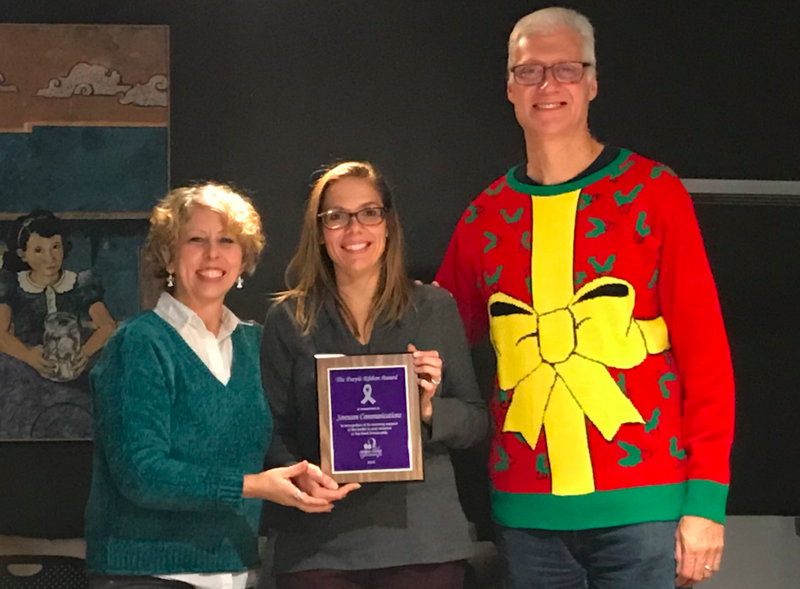 Sego Lily Center for the Abused Deaf has awarded its first Purple Ribbon award to Sorenson Communications December 13, 2018. The purpose of this award is to recognize and honor contributions of individuals, organizations and corporations for their work to end violence in the community. Brooke Grossinger received the award on behalf of Sorenson Communications. Thank you Sorenson Communications for supporting the cause to end violence in our Deaf Communities locally and globally! RID donates $1,500 to Sego Lily! Your Safety is our #1 Priority! Copyright 2016 Sego Lily Center for the Abused Deaf (SLCAD) All rights reserved. Safety Alert: Computer use can be monitored and is impossible to completely clear. If you are afraid your internet usage might be monitored, call 1-800-787-3224(TTY) or 1-855-812-1001(Video Phone) If you need to exit this website in a hurry, hit the ESCAPE key twice or click the icon in the bottom right. Users of web browser Microsoft Edge will be redirected to Google if they hit the “X” or “Escape” button.